Never much cared for The Italian Job. Love the opening sequence but its matey banter and its Euro-phobic stance leave me cold. I prefer Michael Caine in the Harry Palmer movies, or his pair of Mike Hodges films, Get Carter (1971) and the underrated Pulp (1973), or James Clavell’s weird anti-religious period movie The Last Valley (1971). Anyway, here’s my programme notes. 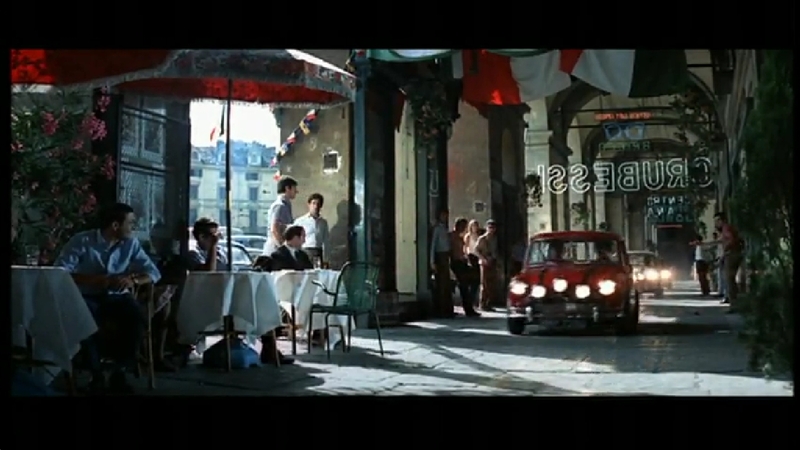 The Italian Job misdirects the audience with an opening sequence which introduces us to a suave middle-aged man (Italian actor Rossano Brazzi) as he drives a Lamborghini through the Alps as Matt Monro sings the haunting ‘On Days Like These.’ This is not Brazzi’s movie though, nor is it the Lamborghini’s. The Italian Job belongs to a couple of British institutions – Michael Caine and the Mini Cooper. A moderate box office hit on its initial release in 1969, the film has gradually developed a strong following over the years thanks to regular television screenings and the critical reappraisal of star Michael Caine which began when he became a cult figure with the ‘New Lad’ culture of the mid-90’s and Mike Myers credited him with being one of the inspirations for Austin Powers. A nuanced and charismatic actor Caine has had a more varied career than people realise but he is best known for his mischievous onscreen persona. Caine first found fame as an upper class army officer in Cy Endfield’s classic war film Zulu (1964). However he soon became known for playing cocky working-class types. As the cynical spy Harry Palmer in The Ipcress File (1965, Sidney J. Furie) he trades barbs with his condescending superiors but gets the job done. As smooth-talking lothario Alfie (1966, Lewis Gilbert) he thinks he’s got all the answers and delivers lengthy monologues to the camera about the meaning of life. The Italian Job is a cheeky caper movie in which British ingenuity triumphs over continental style and sophistication. No wonder fans of the English national football team have adopted its catchy anthem ‘Getta Bloody Move On’ aka ‘The Self Preservation Society’ into their repertoire. Caine is in his element as the roguish Charlie Croker who walks free from prison and immediately starts work on a plan to steal gold bullion from a delivery in Turin using a football match as cover. Noel Coward makes a surprisingly effective heavy, his character representing the Old Guard of the Establishment, disgusted at having to tolerate a lower-class upstart like Charlie until of course he realises how much money he can make from him. Credit must also go to French driver Rèmy Julienne and his team who perform the film’s inventive driving stunts and would later work on every James Bond film from For Your Eyes Only (1981, John Glen) to 1995’s Goldeneye (Martin Campbell).